This ultra warm and durable Aigle Valefleece Jacket features long sleeves and an adjustable drawstring hem to ensure you are always warm and cosy on blustery days. Tow the side, you will find two zipped pockets which make for great spaces to store your essentials. The full length zip leads up to a stand collar, which fastens under the chin for added protection from the cold. 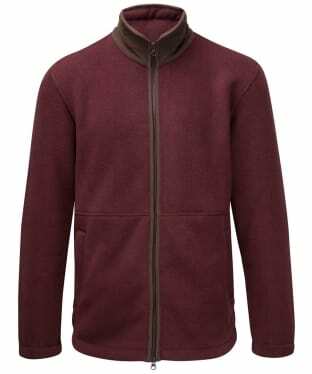 The Valefleece is finished with suede trim details and leather Aigle badge and zip pull. The Men's Fjallraven Buck Fleece is the perfect companion as the colder days arrive this season, ideal for wearing alone or layered up for added warm this season and beyond. The Buck has been crafted from a robust knitted fleece for added warmth and durability, tailored to a comfort fit for a stylish yet practical fleece you are bound to love! The reinforcing of the G-1000® fabric to the shoulder means extra durability, ideal for when carrying a backpack. 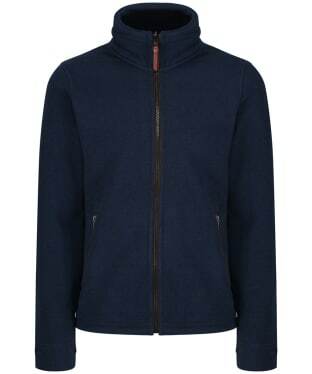 This fleece has been finished with a zip fastening front, one breast pocket and two side pockets, ideal for offering you added convenience. 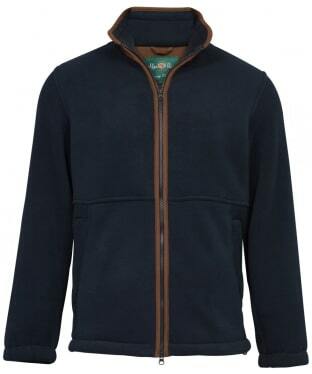 For an added touch of stylish detailing this fleece has been finished with Fjallraven branding to the sleeve. The Alan Paine Aylsham Fleece Jacket is a warm and practical jacket that's an essential piece for any outdoorsman. Ideal for winter days spent in the field, or for any day where your warmth is a top priority, the two zipped pockets and back waist adjustment add practicality to this simple piece. Essential country wear. 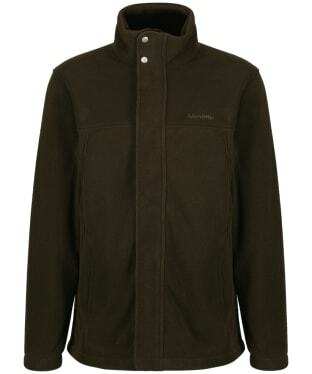 Be prepared for any weather this season with the men's Alan Paine Alysham Windblock Fleece, this waterproof and breathable fleece means you can enjoy the outdoors no matter what the weather brings. 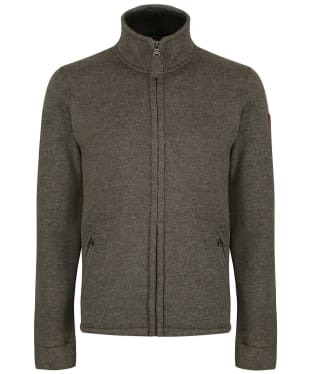 Tailored to a classic fit for added comfort and wearability, as well as back waist adjusters so this fleece as be adjusted for a fit to suit you. The elasticated cuff helps keep the colder and wet weather out, finishing this fleece with contrasting colour piping and outside collar for added style and attention to detail. 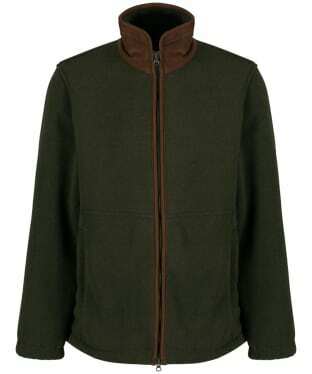 The men's Fjallraven Sten fleece is the ideal mid-layer for keeping you warm under a waterproof shell jacket. Made from 100% recycled polyester, this comfortable Fjallraven fleece feels ever better knowing it has been manufactured as sustainably as possible. If you're out and about carrying a large backpack, then the reinforced G-1000 shoulders will provide added comfort and support. When the weather gets colder, the easy access pockets are great for tucking in chilly hands, or of course keeping all of your outdoor essentials close by. The full zip closure can be pulled right up under the chin for especially cold winds, making it great for those days when you just want to get out into the great outdoors. 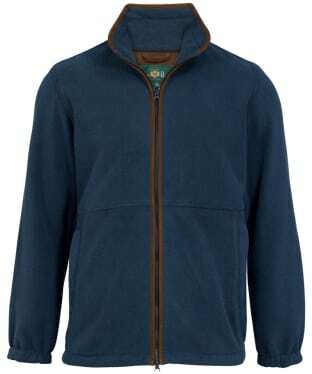 The Men's Timberland Whiteface River Polar Fleece is part of Timberlands layering system and is ideal for teaming with a compatible jacket to keep you warm when the colder weather arrives. Made from 100% polyester fleece fabric, the full zip can be pulled right up under the chin for those especially cold winds meaning the adverse weather is never an excuse to getting outdoors. 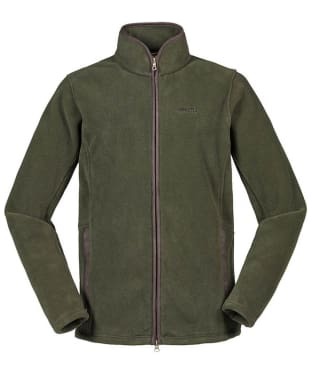 Also featuring an adjustable hem to achieve that ideal fit and look, the fleece also features timberland branding to the chest for that final touch of style and authenticity. Whether heading on a country stroll or doing your favourite outdoor activity, the River Polar Fleece will keep the colder weather away, and can be worn on its own or under a jacket for a timeless casual look to carry you through the seasons. The Men's Aigle New Garrano Fleece is perfect for adding a touch of warmth to those colder days this season and beyond, crafted from a thick, water-resistant sheepskin Polartec Thermal Pro 300® fleece to offer you added convenience and warmth. The stand-up collar is ideal for helping keep those cold winds at bay and the adjustable hem will also help keep out any cold weather. For an added touch of stylish detailing the Aigle New Garrano has been finished with faux leather pipe detailing, as well as subtle Aigle branding for the mark of Aigle quality and style. The two outer hand pockets and the inner pocket are perfect for offering you an added touch of convenience. 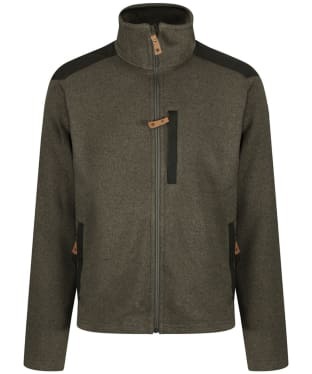 Stay warm this season and beyond with the Men's Schöffel Mowbray Fleece, crafted from Polartec® Windbloc® 2-layer laminate fleece to offer you a 100% windproof and highly breathable fleece! The Schöffel Mowbray offers you a water repellent finish meaning there is no need to worry about getting caught up in unpredictable showers. For added convenience this fleece features an inner zip security pocket, as well as two fleeced lined zip pocket. 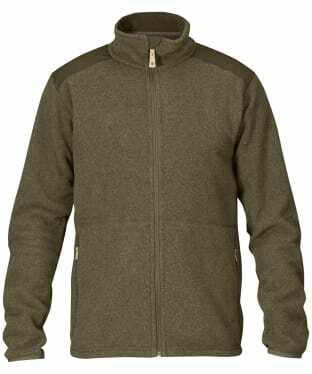 This jacket is machine washable and quick drying to give you an easy care, yet durable fleece. Enjoy the outdoors in comfort this season and beyond with the Men's Musto Glemsford Polartec® Fleece Jacket, this incredibly warm and comfortable fleece offers you the prefect layering piece. This fleece has been crafted from 300g Polartec® fleece which is breathable, warm and dries quickly if you get caught in the rain. The Glemsford features a snug high collar which is ideal for offering you an added touch of warmth, whilst the adjustable hem is perfect for keeping out any cold winds. The durable, polysuede pockets are ideal for keeping any small essentials close to hand whilst you're on the move. The Musto Glemsford Polartec® Fleece Jacket is perfect for enjoying the outdoors, no matter what the weather many bring. The men's Musto Melford Jacket is a super warm fleece designed to keep the winds at bay and the cold out when the mercury begins to fall. The soft Arctec 360 anti-pill fleece feels great next to the skin and presents a stylish finish which can take you from field to city centre with ease. A scooped back hem and drawcord which is adjustable through the pocket allows for a tailored fit and a masculine shape. Self fabric cuffs and front zipped pockets with synthetic suede trim provide the perfect finishing touches. 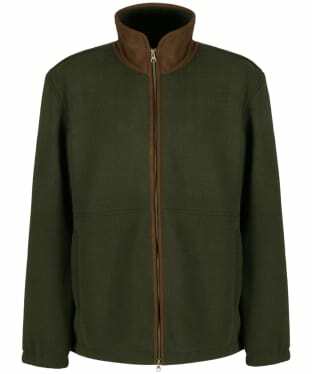 The men's Aigle Niven Fleece Cardigan is a knit effect fleece with a zip fastening: ideal for layering under your favourite winter coat or over a simple cotton shirt for cooler days. The fleece lining is sure to keep you warm and cosy throughout the winter months, while the stand up collar will give that little bit of added protection from the elements. To the outer of the jacket you will find two hand warming pockets, which also feature zips for added security when storing away your everyday essentials. Around the cuffs and hem, you will find a ribbed finish for a neat fit. The Niven Cardigan is finished with a leather Aigle branded zip pull and badge.